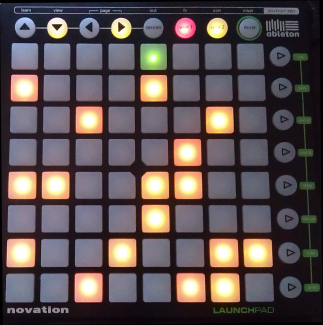 There is a free demo version if you like to test the Lauflicht Step Sequencer Launchpad Edition. The demo version has a limited display of three tracks and the page up/down buttons have no effect. 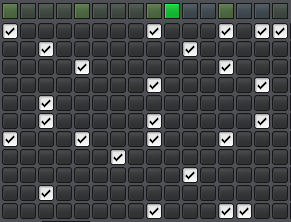 Furthermore the pattern load mode can only be used via the software plugin, not on the Launchpad. Apart from this limit, the plugin is fully functional and you can try out all features. Please note, the full version does not have any track limits, there are unlimited tracks available. Also it has of course the full pattern load mode. If you do not have a Launchpad (yet) but would like to test the plugin, there is also a free version without the bidirectional Launchpad features available. It is a fully functional plugin with all the core features. You can also use it with any other Midi-Keyboard/Controller. Please make sure you have properly installed Renoise 3.0 or higher (free or full version). Run Renoise and drag and drop the plugin (the file ending with ".xrnx") into the Renoise application window. The tool will be installed automatically and is available in the drop down menu "Tools". The latest release is version 3.11 (November 15th, 2014). To give you an overview of the new features, changes and improvements that have been made, please read the changelog.